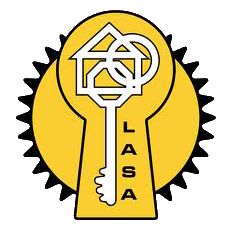 A night latch by definition is a spring lock that can be opened from the inside by turning a knob, but from the outside only with a key. These night latches come in a wide variety of styles with different capabilities. There are two different sizes, the narrow stile night latch and the standard stile night latch. This is one of the cheapest and easiest security measures you can get in the effort to secure your home or business. This is a surface mounted lock that is used to normally secure front and back doors. It automatically locks itself when closed, making it efficient in securing external doors. Most of these locks are fitted in conjunction with mortice locks. A night latch lock is relatively easy to fit. 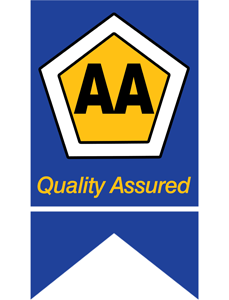 At AAA Locksmiths we have years of experience, call us today to fit a night latch for your extra protection. These night latch locks always needs a key to be unlocked from the outside. It can be deadlocked in an open or closed position by sliding the button on the inner face of the lock. These locks don’t auto-lock every time you close the door. What happens is that the bolt/latch only becomes deadlocked. Should someone try to use a device like a credit card to slip the bolt, the bolt is deadlocked, however, this does not mean that the handle on the inside is automatically locked, as in most cases it is not. Some versions of automatic deadlocking night latches will have a little cylinder in the handle and this, when on the way out needs to have the key inserted and rotated to lock the handle. When you close the door behind you, the handle is now locked. There is no quick exit to bypassing this lock unless force is used on the door. 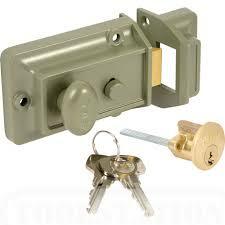 There are also very secure jimmy-proof night latches which make it extremely difficult to break in. As they are surface fitted, they are not aesthetically pleasing, but are the most economic secure lock to fit.